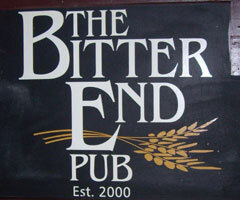 It was nice to be back for a Saturday evening at the Bitter End Pub. As we opened things up for the night, our set was on the shorter side. It featured a rockin' weekend vibe as well as a nice transition into a loop - based jam that James brought in on the fly. We then kicked back and enjoyed the tight jazzy grooves of "Commotion".